We believe that your child is born with the potential to be successful. FasTracKids® programs build your child’s life-long learning skills that are essential for a bright future! Experts say that learning is the most critical skill for the 21st century. FasTracKids methodology develops the skill of learning by engaging the whole child in our child-centered environment. Our programs excite young learners by building the FasTrack® Advantages: critical thinking, creativity, collaboration, communication and confidence. We focus on teaching children how to comprehend and not memorize by teaching them HOW to think, NOT WHAT to think. Each child learns differently and your child has unique preferences in the way they understand the world around them. Our methodology allows your child to be in a dynamic, active learning environment where they can thrive. We blend the best educational methods from Socrates to Montessori, with our proprietary approach called Educational Zig-ZaggingSM. Our teachers guide your child through a combination of multimedia curriculum, hands-on projects and active classroom discussions. We offer these programs at a critical time in your child’s development. The years between 0-8 are when your child is developing cognitively, socially and emotionally. Our early childhood programs reinforce your child’s natural development and expand their capacity for learning. The most important ingredient of the FasTracKids programs is that they’re fun with a purpose, creating an engaged child and a successful learner. The best investment you can make is in your child’s education. We look forward to helping your child discover that life-long love of learning and creating an experience they won’t forget! Do you ever wonder what your baby is thinking? As parents of infants, we know our children can communicate before they can speak. Our FasTrack Signing program will help you understand what your child is trying to tell you, without the frustration. The preschool experience sets the stage for your child’s attitude towards school. 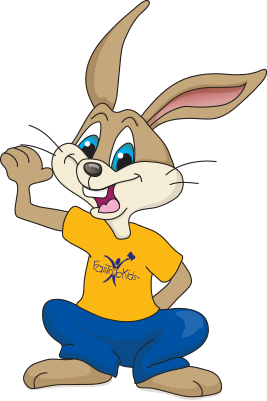 The best first school experience for your child is through FasTrack Explorers. Our proven method of delivering a firm foundation for learning is available as a multi-day preschool program. FasTracKids offers your child a fun, energetic day camp experience that will help them avoid the holiday education backslide. Recent studies have shown that students who “take a break” from learning can lose up to six months of education! This learning loss puts them at a significant disadvantage when they re-start school. FasTrack® Robotics uses Cubelets to learn the basics of robotics. Cubelets are electronic building blocks, each with a small computer inside. When connected they perform creative tasks and are the easiest way for children 4 years and up to learn the basics of robotics. In fact, kids can create a robot with as few as three Cubelets!